Join us to our 3rd intensive 40h bootcamp in Iceland. 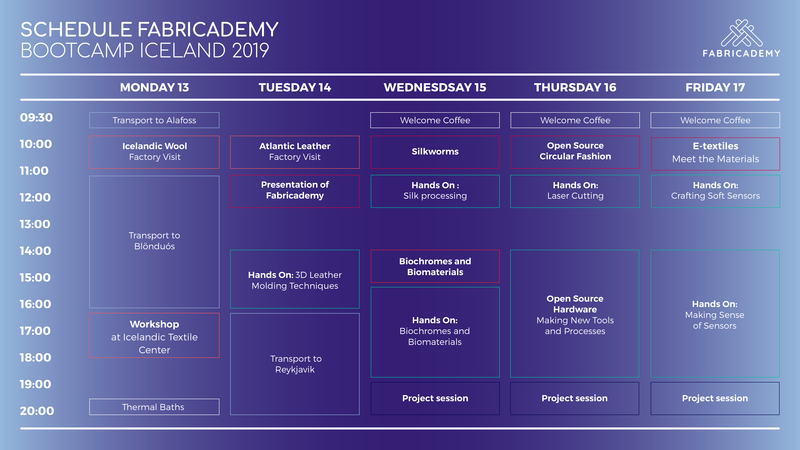 The annual Fabricademy Bootcamp this year is focusing on blending traditional industrial processes with new technologies. We learn from the contemporary industry with factory visits around Iceland and workshops at the Icelandic Textile Research Center. We explore materials , tools and digital fabrication technologies at the Fab Lab and design for a sustainable and inspired future. Project development in groups every afternoon.